An extraordinarily beautiful kitchen knife from a young blacksmith in Sanjo City, Niigata. 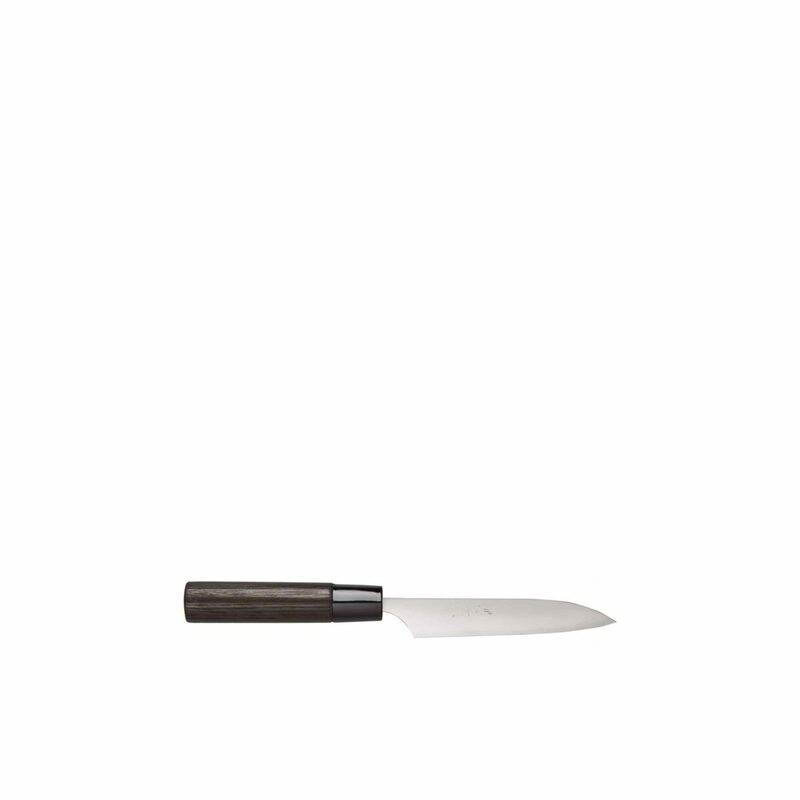 Masashi’s knives are light, beautifully balanced, and a joy to use. 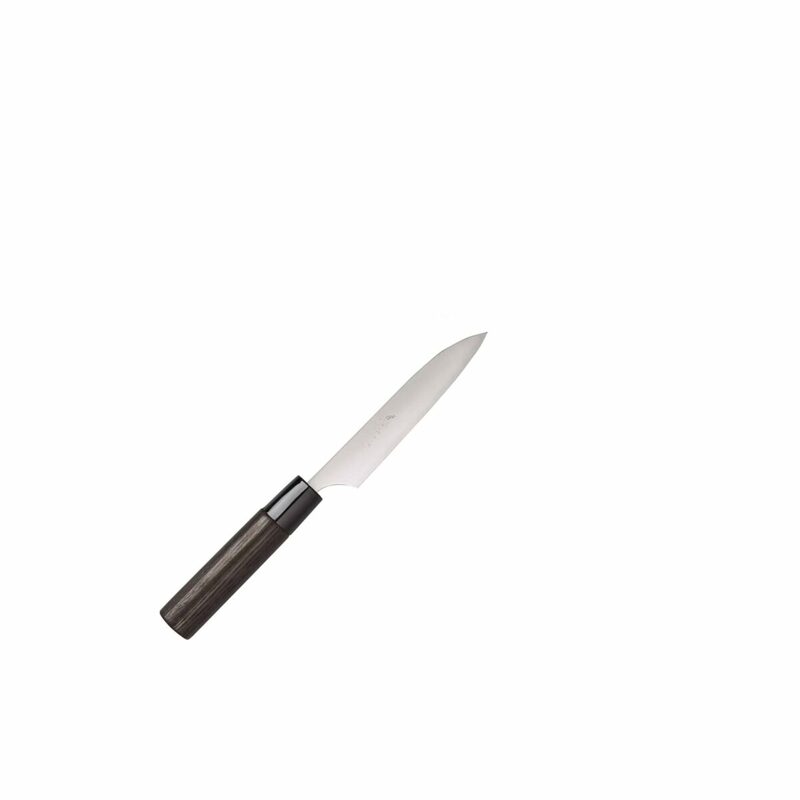 The Petty Knife is perfect for paring and fine work. 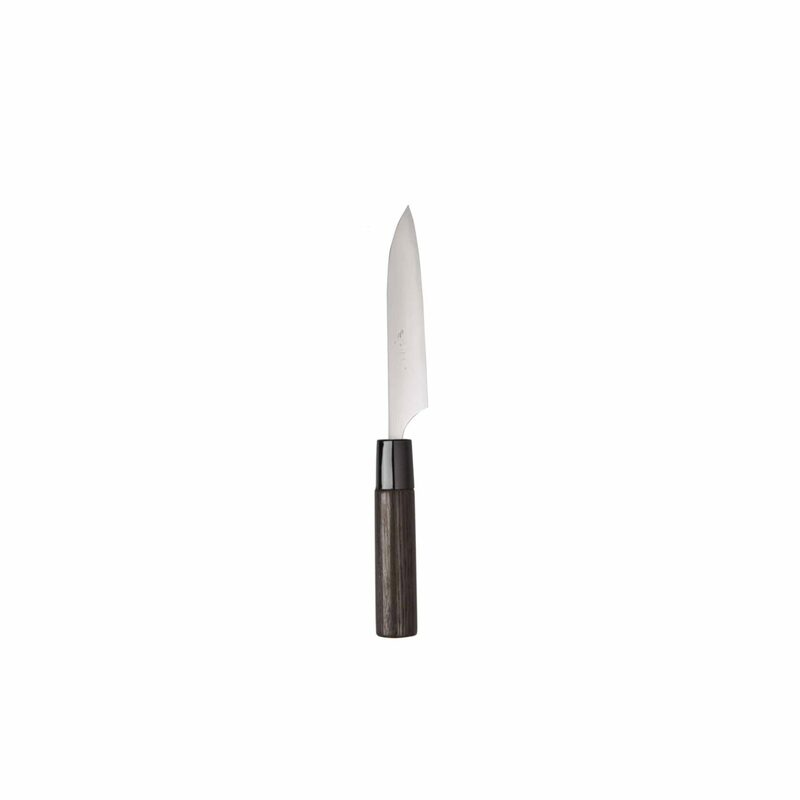 This knife has a polished SLD steel blade, a charred chestnut handle, and a resin ferrule. SLD steel from Hitachi benefits from a high carbon content that holds its edge well, is tough, easy to sharpen and maintain, and with a 12% chromium content is very nearly stainless. It’s laminated to an outer cladding of SUS stainless steel, polished to a mirror finish.